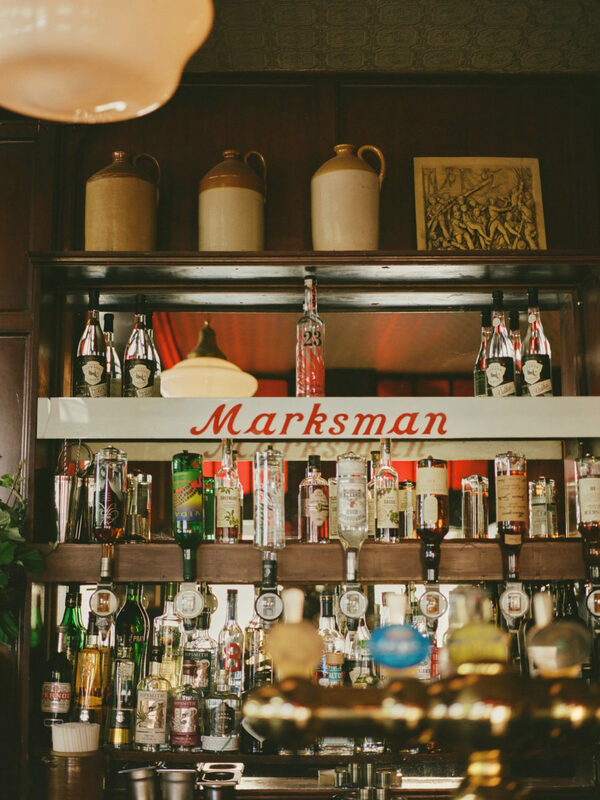 Chef-owners Tom Harris and Jon Rotheram reopened the Marksman in 2015 after sympathetically refurbishing the historical site, integrating an upstairs dining room designed by London-based Italian designer Martino Gamper. 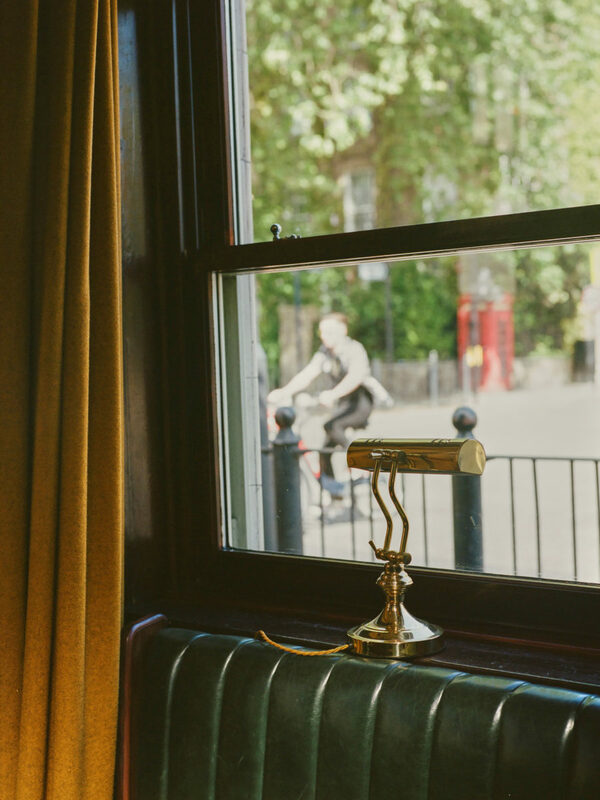 The lower floor of the pub feels like it hasn’t changed in decades, packed with locals and lively revellers, while the upstairs dining space is decidedly more contemporary, serving elegant plates of food reflecting British culinary history. 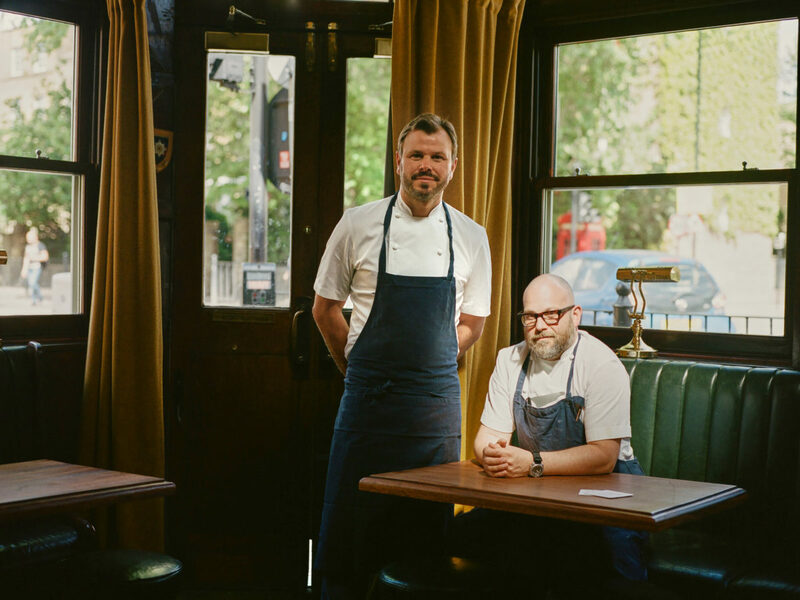 Speaking with Tom and Jon, who were last year awarded Michelin Pub of the Year for their work at the Marksman, Something Curated learns more about their journeys, approaches to food, and where they like to eat in London. Something Curated: Could you tell us about the ethos behind the Marksman? How do you reconcile upholding the origins of a traditional public house whilst pushing forward with your food offering? Tom Harris: We’d been looking for a site that had a large bar and a space that we could do a restaurant in as well for sometime. Obviously, a pub fits that criteria. We’ve been drinking around here for years and years, and we knew the pub very well, so it was the perfect fit really. 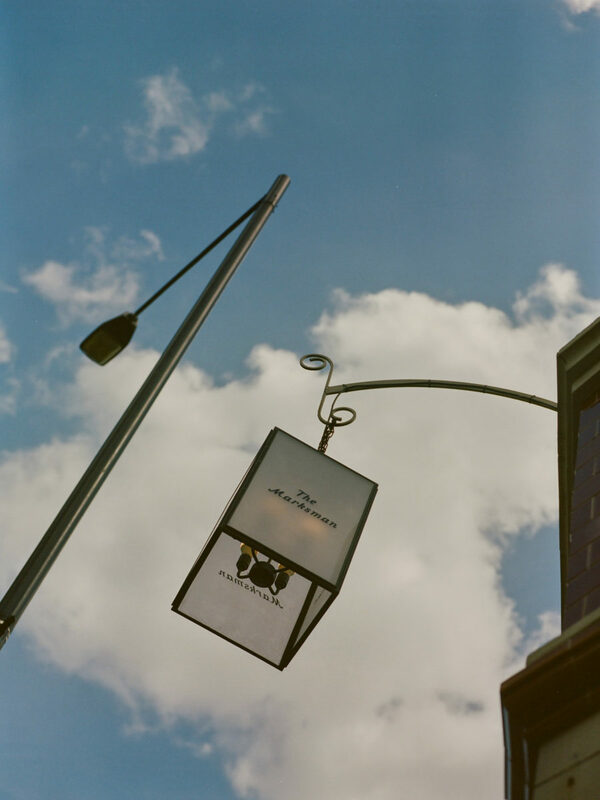 One of the things that we were very determined to do was to maintain the pub, and not change it into a restaurant. We were lucky enough to have the dining room space upstairs, so we can keep the pub as it has been downstairs since 1865. This was partly to make sure there was a feeling of continuity from its history, but also because we love pubs. To have lost that would have been a shame. We have a lot of locals that have been drinking here for 20, 30 years. There’s a changing demographic in the area with a lot of younger people coming in but we wanted to keep all parts of the community involved. Jon Rotheram: We worked together at St. John around 15 years ago. We built up a relationship and understood what we wanted to do for our own restaurant. For years we’ve talked about ideas, and how we’d open up our own place and what we’d do with it. 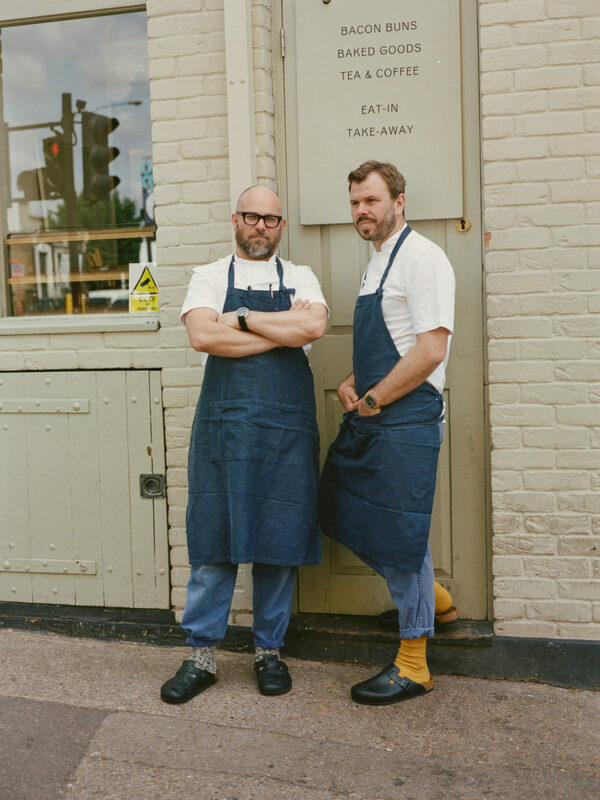 We both believe in the same style of food, and the ethos behind running a restaurant. We always felt it was better to have a partnership where you can lean on someone, rather than doing it by yourself. SC: What drew you to this site? JR: We were always looking at east London because we live around here and for many years we’ve been travelling into the West End to work. We both felt it was time to be a bit closer to the family and where we live; it changes your approach and the way your lifestyle is. We felt there was a need to bring back this type of British cuisine and have a pub that was still running as a pub. We wanted a pub restaurant that catered to everyone. SC: How do you feel your time at St John has informed what you’re doing today? JR: It’s in the DNA of what we do now. You can definitely see an identity from our time at St. John, from the ethos of using British produce, always using high quality ingredients, letting the food do the talking – don’t complicate things and let the produce sing – our great rapport with the suppliers; these are all things we learnt while working there. TH: One thing about St. John is that it’s a celebration of British cooking. When it first started, you could go to Paris and eat French food, you’d go to Madrid and eat Spanish food, you’d come to London and you’d eat Italian, French, Indian, Thai food, but rarely would you find a restaurant that served British food. I think there’s something with us, as chefs we like to be able to refer back to dishes that we grew up with. And Jon and I always wanted to cook in that way. I think that was one of the major things we took away from St. John, that you could cook British food in a restaurant environment, and make it really beautifully, and really celebrate English dishes, rather than have the scorn that a lot of English cooking had had for many years, things which were thought of as domestic but you’d never eat them in a restaurant. JR: There are lots of things. We use a lot of foraged stuff. Game season is always a very exciting time of year for us. English shellfish is phenomenal, and seafood in general is spectacular. We always like to have seafood on the menu as a starter, and sometimes we introduce it as a main course dish. Spring’s an amazing time of year; we work very closely with some organic farms based in Essex, and spring is when they really come alive. At this point, vegetables start to become more of an important factor, and the protein takes a step back. We always get quite excited about the asparagus and all sorts of other things that come in. TH: We’ve both been chefs for a long time, so it’s always going to be chefs. For me, it was Mark Edwards at Nobu when I first started working there, and of course Fergus [Henderson] and Trevor Gulliver. JR: I think it’s the same ones for me. TH: Foremost it’s always got to be flavour first, it’s got to be delicious, but we do spend a lot of time thinking about how the dishes look and how it sits on the plate, and how our customers see it in the context of the dining room. 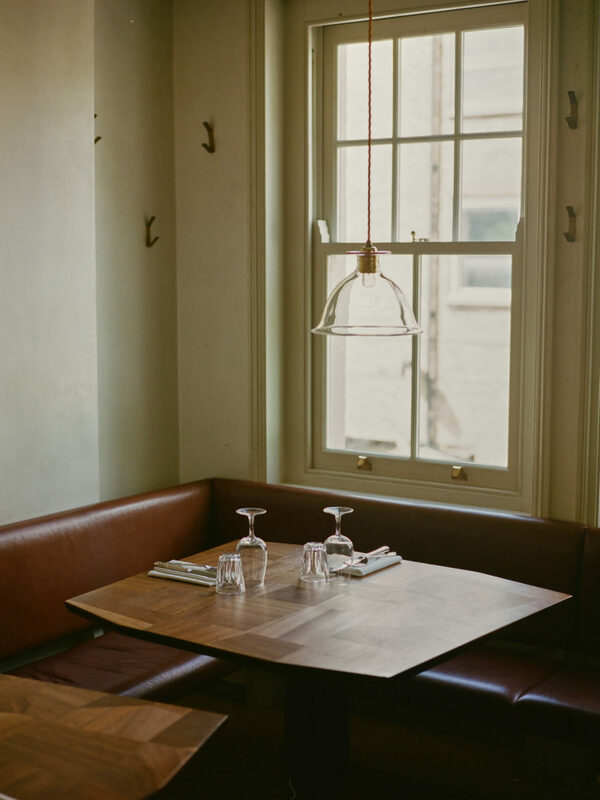 We’ve got two very different dining spaces: a pub that’s all this dark wood and a more kind of traditional feel, and then a much more contemporary area which is full of light and colour. I think most of it is about being bright and fresh, and giving the produce the opportunity to be the star, not the technique. SC: Have you noticed any trends in the dining scene in recent years which you feel have longevity? JR: London has been at the heart of international dining for quite some time and so trends come and go constantly. Particularly in the age of Instagram, food trends move at a phenomenally fast rate. I think for us, maybe we’re a bit long in the tooth in that respect, we know what we like to cook and we stick to that. I think what has become popular are the great natural wine bars that are serving food with them. Hopefully that’s something that’s here to stay because I feel people always want to have good wines served in an informal manner and you always need food that’s not overcomplicated beside it. I think that will stick around. TH: We’ve generally seen a move towards a much lighter cuisine, and much more plant based, which suits us. That’s a major shift which we like, since vegetables and fruits have always been central to our cooking. It’s nice to see that kind of produce shine. SC: What does London offer you as chefs? JR: I’ve always worked in London. I like how it always feels alive, you always feel you’re getting to see the first produce that’s coming in, the styles and trends that are beginning. The standard in London, particularly over the last ten years, has gotten so high and there’s so much competition, it helps you push yourself harder and also raises your expectations. TH: It’s a great city to work in. JR: It’s a great city to be able to eat in as well. You realise that as soon as you leave London. There’s a lot of opportunities here for young chefs, and for diners. Interestingly, it’s also relatively good value. You leave London and often you’re paying more for food in the countryside and other towns than you are here. It’s bizarre. I like how open the city is too, and how the cuisine reflects that. JR: I really love Brawn, P. Franco, Lyle’s, Black Axe Mangal. For breakfast, I love Raw Duck. TH: All of the above. We’re very lucky around here; we’re blessed with some pretty fantastic restaurants that are all nearby. It’s not like the old days, where to eat well in London you’d have to go to the centre of town or to the affluent areas in west London. Now we’re in walking distance of at least six restaurants that are cooking to a phenomenally high standard. SC: Could you tell us about any projects you’ve got in the works, such as upcoming events at the Marksman? TH: We do a cookbook dinner series, where we invite a chef over to create a menu based on dishes from their favourite cookbook. We’ve been doing these for a couple of years and the next one we’ve got coming up is with a really great young chef called Lee Westcott from the Typing Room at the Town Hall.